Azur Digital played a pivotal role in helping us bridge the gap between physical and digital retail. They took the time to understand our culture and business and took a holistic approach that tackled technical as well as human aspects, allowing early cultural adoption by all stakeholders within the company while ensuring the technical milestones were delivered on time and on budget. Shoppers can now view the brand’s entire catalog online and check availability of stores’ stock for all products in real-time. They can order any product for home delivery or pickup from any store of their choice across the UAE. In addition, all systems and processes deployed are future-proof, enabling the company to further roll-out its omnichannel roadmap across the region. Virgin Megastore’s vision was to offer the most successful and customer‑centric multichannel experience for lifestyle & entertainment in the MENA region. The company embraced early the idea that ecommerce would be an important part of their future. This is why they didn’t want to just add a transactional website, but instead provide an online extension to their successful in‑store experience. The company not only required the support of a local consultancy partner to guide their e‑commerce project from the offset, but also one that would complement their internal teams by providing cross-functional expertise at each key stage of the project. Our first priority was to outline the composition of the new channel with key stakeholders across the business and to set-up the enterprise project framework to deliver it. The new online store would be mobile‑first, fully integrated to retail operations, CRM and loyalty, and form part of a strategically phased 5-year roadmap. With project and budget approval across the company and parent group, we could move on to the next key milestone: searching for the best-in-class solutions and partners for the project. Working with cross-business stakeholders, we precisely defined and prioritized requirements and then built effective RFPs that would facilitate our vendor search and evaluation process. Given the complexity of Virgin Megastore’s product catalog of 50k SKUs and the need for strong omnichannel capabilities, SAP Hybris emerged as the platform of choice for this project. Identifying the right solution early in the process greatly facilitated the search for not only a highly competent & specialized system integrator, but also one that would be a strong organizational and cultural match. We completed the planning phase by defining the operational processes, organizational changes and budgetary requirements which would be needed to both set-up and run the new omnichannel business. In order to deliver a portfolio of 12 sub-projects involving over 100 internal and external stakeholders, on time and within budget, it was essential to establish a rigorous program governance and adequately on-board each member of the project team. This enabled everyone to both embrace their role within the project and understand the importance of their contribution to its overall success. 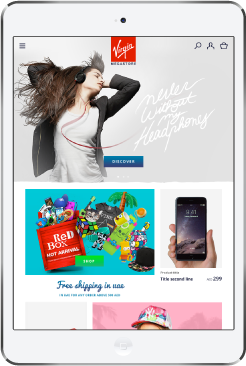 When designing the user experience of the responsive ecommerce website, it was essential we gave due consideration to Virgin Megastore’s repositioning as a leading lifestyle destination. We applied a customer-centric framework to create the personas, customer journey and wireframes. This was important to ensure the right balance between concept store aspirations and the need to both satisfy and convert a culturally diverse customer base. 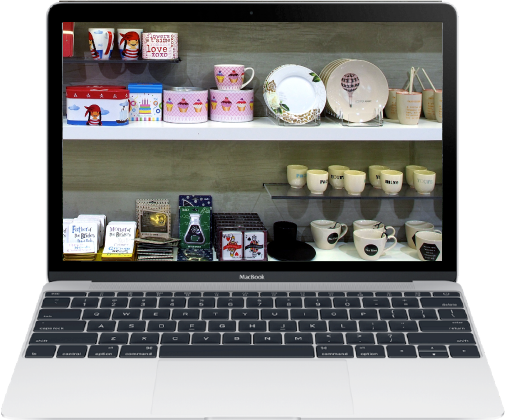 We then worked with an award-winning international design team in bringing the online store to life. In parallel to managing the delivery of the online store program, we supported internal teams in the setup of their multichannel retail operations by designing the end-to-end processes and providing subject matter expertise during their implementation. This included providing strategic guidance on the company’s change management program to empower employees and develop a sustained omnichannel culture. This transformation was only made possible through a combination of visionary company leadership and empowerment of internal stakeholders, who were supported by subject matter experts from project inception through to launch. By embedding into the organization and developing a strong understanding of the culture and ways of working, we were able to drive high levels of engagement, accelerate confident decision-making and facilitate the contributions made from both internal and external teams.